Solid plan for cooling down on a too warm summer afternoon: one tall lemonade, a soft backyard breeze and two peaceful new songs from Blitzen Trapper. 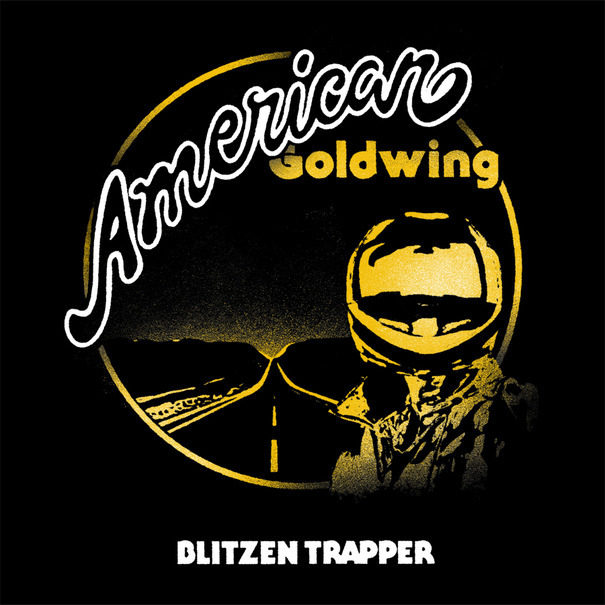 The band has an album coming out on September 13th called "American Goldwing" and the new advance tracks prove that it will be the perfect soundtrack to summer's quiet departure. The title track is embedded above and you can go here to download a second song, "Love the Way You Walk Away", directly from Sub Pop Records. "When I sing, in the title track, “I know / I know / I’ll be staying if the wind don’t blow,” I’m seeking to invoke the unseen, the spirit that beckons you to saddle up that old 1980 Honda Goldwing, or your uncle’s beat up Ford Bronco, or that Jeep you somehow, and only barely, keep running and leave this lonely town behind, ‘cause that wind’s always blowing. I’m calling you to ride, to take those curves at speed and head for someplace better where love is true, whether that be into the depths of the galaxy or just to the next truck stop where the neon shines, and where the “company of strangers / and the close and the present dangers” are all that really matters." Starting October 7, Blitzen Trapper will be hitting the open road for a two-month tour with Dawes. If you want to join them, all of the relevant info regarding dates, venues, and tickets can be found here.